Volkswagen AG is presenting a car for the urban world of tomorrow at the 64th International Motor Show (IAA) in Frankfurt: NILS. 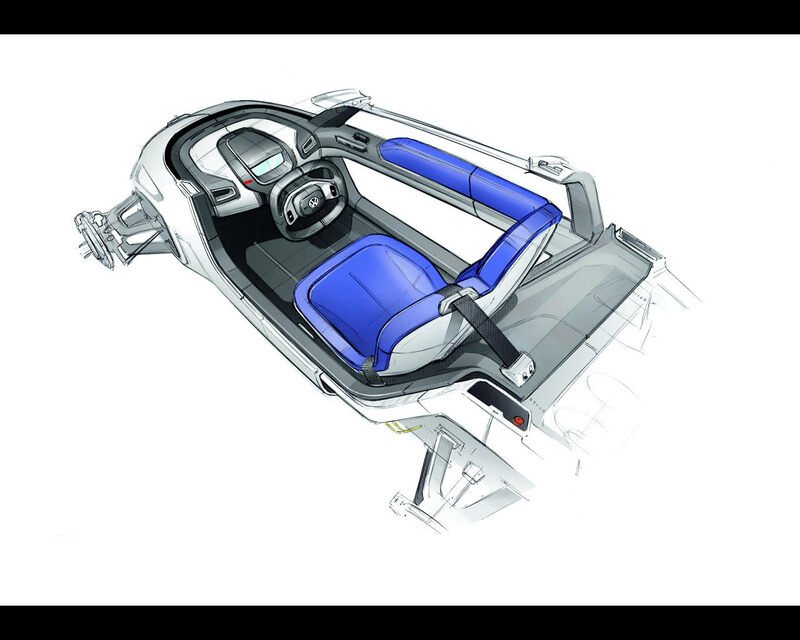 The single-seat electric vehicle reflects a new, fascinating form of minimalist mobility. The concept car – with its progressive aluminium space frame, wing doors and free-standing wheels – exhibits a high level of dynamic performance, yet travels with zero emissions and silently towards the future. The project is supported by the German Federal Ministry of Transport, Building and Urban Development. Technically realistic and economically feasible. “NILS is a vehicle that anticipates the future. It looks as though someone had projected it back from the year 2030 to the world of today. This study melds sustainability, design and lifestyle in a new way. 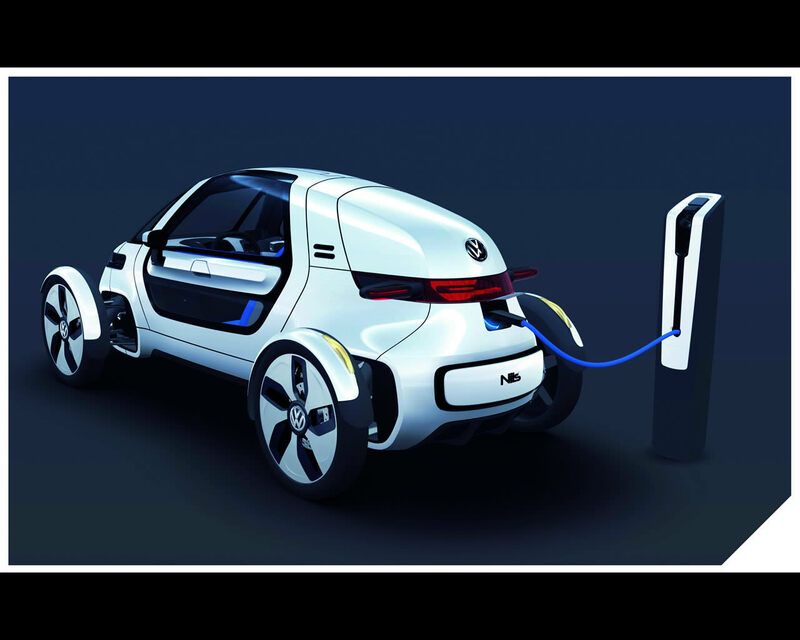 A high-tech vehicle from the Volkswagen company with an electric drive, but very realistically conceptualised,” says Dr. Ulrich Hackenberg, member of the Board of Management and Head of Development for the Volkswagen Brand." With a range of 65 kilometres, the 130 km/h NILS would certainly be the ideal vehicle for the majority of commuters in Germany. According to the German Federal Statistical Office, 73.9 per cent of all commuters residing between Berlin and Munich cover less than 25 kilometres on their way to work. So, NILS is designed to be a reflection of a new era. Electric traction changes mobility in Volkswagen Group. Many Volkswagen Group models in the higher vehicle classes are already available with hybrid drives, where the electric motor supports the conventional drive system. This emissions-reducing drive technology is now breaking into high-volume segments.Golf with E-drive debuts in 2013. The first high-volume models with a pure electric drive will soon reach production readiness; the Golf, one of the best-selling car in the world, will debut with an electric drive (Blue-e-Motion) in 2013. 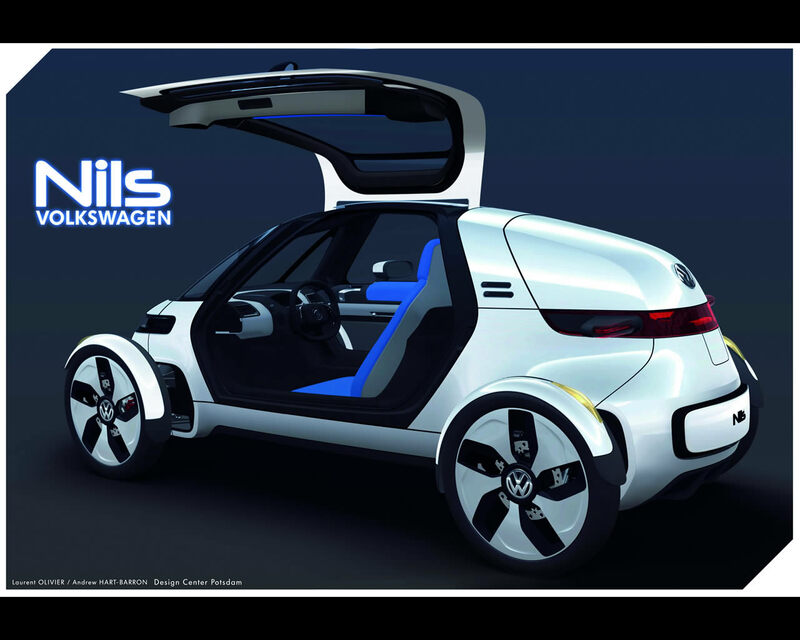 The NILS concept is a very compact car that requires extremely little space in traffic. NILS is only 3.04 metres long, making it about 50 cm shorter than the new Volkswagen up! The width of the NILS, from wheel to wheel, is 1.39 metres; the body itself measures only 0.86 metres wide. The concept car is 1.2 metres tall. By means of comparison: a Porsche 911 is taller at 1.31 metres. 65 km and 130 km/h. Although, or even because, NILS is so compact and lightweight (460 kg), it is a lot of fun to drive. It is an agile car with a top speed of 130 km/h, and it can accelerate to 100 km/h in less than 11 seconds. This is accomplished by an electric motor with a reasonably small 15 kW nominal power and short-term peak power of 25 kW. A lithium-ion battery supplies the electric motor with energy. The battery capacity (5.3 kWh) enables driving ranges of up to 65 km, depending on the style of driving. A battery of this size is relatively inexpensive, and its capacity is sufficient for this type of car. The research vehicle can be charged either via a conventional 230 Volt electrical outlet (maximum charging time 2 hours) or at an electric vehicle charging station. The plug port is located at the back underneath the rear lighting module. Electric motor is a lightweight 19 kg. 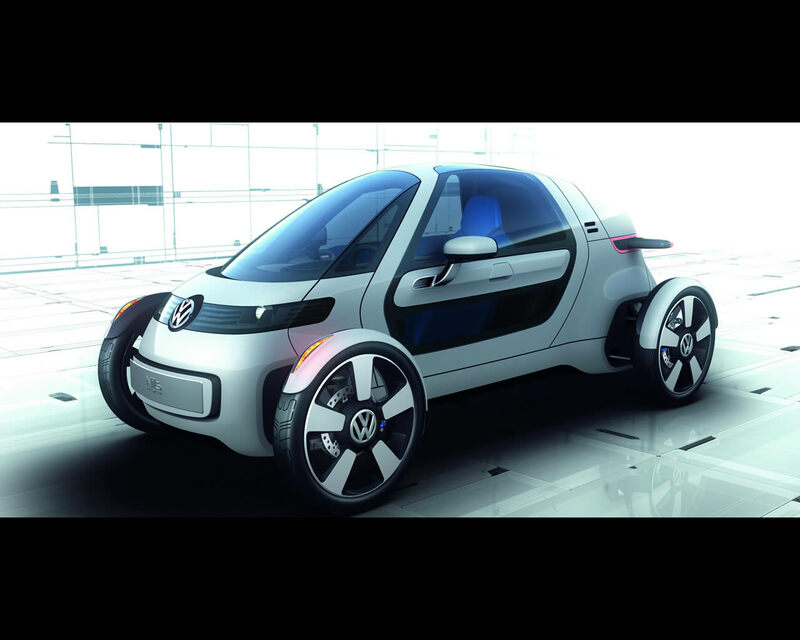 In setting up the electric drive system, engineers made use of the great wealth of experience Volkswagen has acquired in developing other concept cars such as the L1 and XL1 as well as future production vehicles like a Golf Blue-e-Motion or up! Blue-e-Motion. The centrepiece of the drive unit is the lightweight 19 kg electric motor together with its transmission and battery. Energy management is via a high-voltage pulse inverter, which – together with the 12 Volt DC/DC converter for the vehicle electrical system and the charger – forms an integral drive unit. It is the rear axle that is driven. All drive unit components are located compactly in an aluminium housing. The unit, including the drive shafts, is integrated at the rear of NILS. The electric motor produces a maximum torque of 130 Nm, which is transferred to the rear axle via a one-speed transmission. For wheel control and suspension, there are double-wishbone suspensions front and rear; the ESP electronic stabilisation programme ensures that with all of its agile performance, NILS will still stay on course. The car’s good weight distribution between the front and rear axles contributes towards the ESP having to do as little as possible. NILS brakes and accelerates automatically upon request Innovative City Emergency Braking. Another important electronic assistant in NILS is City Emergency Braking. The continually active system uses a laser sensor (in the front VW logo) to detect the risk of an imminent collision, and at that moment it automatically brakes the car. Depending on the car’s speed and the driving situation, City Emergency Braking can reduce the speed at impact and might even prevent an accident. Automatic Distance Control. City Emergency Braking is a software extension of the automatic distance control system (ACC). Its full range of functionality is available in NILS. The ACC system also uses a laser sensor to measure the distance and relative speed to the vehicle ahead in traffic – parameters to which NILS automatically adjusts its speed. Not only are the four disc brakes used to brake; electric traction by electric motor and battery regeneration can be used to brake as well, depending on the driving situation. Last but not least, Front Assist is integrated in the ACC system. This continually active system warns the driver of a potential collision; at speeds below 30 km/h, automatic braking can avoid a collision under some circumstances. TFT LCD (Thin Film Transistor - Liquid Crystal Display) as instrument cluster. The instrument cluster was tailored to the electric vehicle. The main surface here is a 7-inch TFT display. The vehicle’s speed is shown digitally in the middle. Energy flow is visually represented by bar elements. Another graphic display offers information on the driving range. Clever touchscreen. The second central instrument is a mobile multifunctional talent like the one used in a similar form in the new up! : the Portable Infotainment Device (PID). At the start of the drive, the PID computes the expected driving range, then it not only displays the route on the map display, but also the radius and thereby the destinations that can be reached using the current battery charge. Simple where it makes sense. To save on weight and costs, certain functional elements and controls are operated without electrical assistance. The side mirrors, for example, are adjusted manually, which is not really an inconvenience in an interior that is only 0.61 metre wide. There is no power assistance for steering either; however, this is no problem on a vehicle weighing less than 500 kg. Located to the right of the steering column is the motor start-stop switch; this round, handy switch is also used to select the position of the single-speed transmission (D, N or R). Safe like a big car. The aluminium space frame body was designed to be a highly effective safety cell. The 2 wing doors are a work of art in their manufacture. Their frames consist of 3 main elements: an inner section, a crash reinforcement section and an exterior part. When they are closed, they offer optimal crash safety. The door windows are made of lightweight, scratch-resistant, layered polycarbonate. The front window is made of laminated safety glass. See and be seen. Xenon and LED elements are used for the headlights, rear lights and indicators. In front, 2 bi-xenon modules handle the job of the dipped and main beam headlights. The indicator lights and daytime running lights are implemented as white and yellow LEDs. The daytime running lights are mounted on the front wheel trim panels, and these lights also serve as position lights for parking. In the acrylic glass of the rear lights – which are integrated in the rear section like small wings – the light generated by LEDs is routed via transparent semiconductors. Their electrical power consumption? Minimal. Which is very apropos to electric vehicles.